If you are into racing games or just gaming in general then we have got a big news for you. 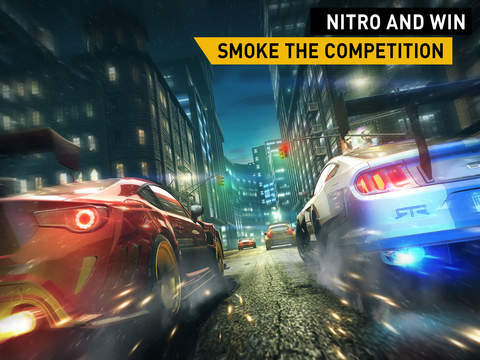 EA has just released the new Need For Speed No Limits for iOS and it is now available for iPhone, iPad and iPod touch. The game follows a freemium model, as it is available for free and offers in-app purchases. No Limits has been developed by the same studio that worked on Real Racing 3, so expect some high quality gaming experience. Just like any NFS game, you an customize your car and choose from a wide range of options. 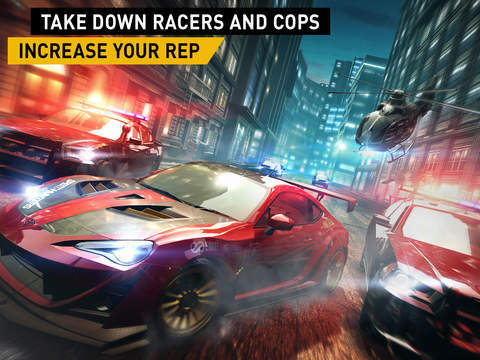 It also follows the same model NFS games are known for, in which you have to win races and build your repo to unlock cars, customization options and events. Need For Speed No Limits offers a wide range of real world cars including McLaren 650s, BMW M4, Porsche 911 and more. You can heavily customize the cars and create combos of your choice. In addition to normal races the game also has cops that try to arrest you with chases and road blocks. You can compete in over 1000 races according to game’s description. After playing the game for a few minutes I can say it is impressive. It offers high quality graphics that work without any lags or performance issues. If you are into racing games then its a must have. You can download Need For Speed No Limits for free from the App Store. It works on all devices running iOS 6.1 or later.